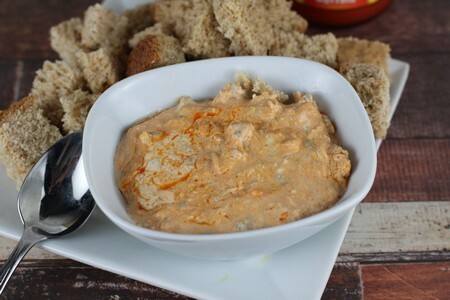 This Frank’s RedHot Buffalo Chicken Dip can be made in a pinch and packs quite a bit of flavor! Tasty with chips, crackers, or bread. It is perfect for any gathering! ½ cup crumbled blue cheese or your favorite shredded cheese. Combine all ingredients in a 1 quart baking dish. Bake 20 minutes or until thoroughly heated. Serve with crackers, chips, vegetables, or bread.